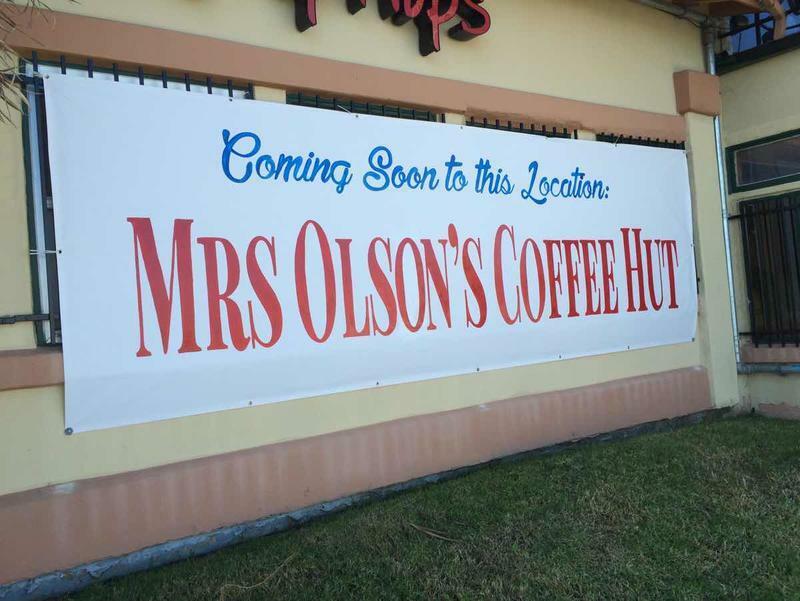 Mrs Olson’s Coffee Hut Is Moving! Mrs. Olson’s Coffee Hut is moving to the old Flip Flops Restuarant location (also used to be the old Chuey’s Retaurant) at Harbour Landing on the harbor side across from The Italian Job Restaurant. Great location with a fantastic harbor view…great spot to watch The Parade of Lights and the 4th of July fireworks. No word as yet as to timing. Will keep you posted. This entry was posted in Buzz at the Beach, Harbor Happenings. Bookmark the permalink.